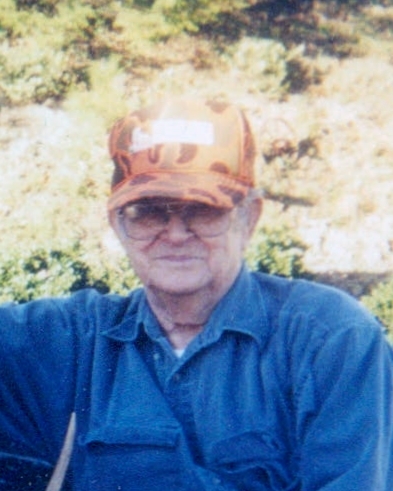 Donald Gene Voyles, age 87, of Harriman, TN., went home to be with the Lord on Sunday, April 14, 2019, at his home. He was a loving father, grandfather and great grandfather. He was an avid outdoorsmen, who looked forward to planting his garden each year, as well as hunting, which he continued to do so until the age of 86. He was preceded in death by his wife, Bettye Jane Voyles; parents, Stoogie Theodore and Clara Voyles; brothers, Bill, Allen, Dallas, Arlan, Lowell and Ronnie Voyles; sisters, Irene Walls and Ruby Bunts; son, Donald Lynn Voyles. He is survived by his wife, Diane Voyles; daughter, Becky Jones and husband, Stanley; son, Steve Voyles and wife, Connie; grandson, Jeremy Jones, Josh Voyles; granddaughters, Crystal Baker, Elizabeth Faller, Stephanie King and Miranda Hawes; great grandchildren, Tyler, Kaleigh, Denver, Willow, Brooke, Eddie, Ella, Noah, Madilynn, Bryson, Kolton, Dawson and Kade. The family will receive friends Wednesday, April 17, 2019 at Schubert Funeral Home in Wartburg from 1:00 – 3:00 p.m. with the funeral to follow at 3:00 p.m. with Bro. Paul Bingham and Bro. Ray Collins officiating. Interment will follow in the Crab Orchard Cemetery in Oakdale, TN.